Colleen Michelle James joined the Mannix Marketing team in 2017 as a Digital Marketing & Sales Strategist. 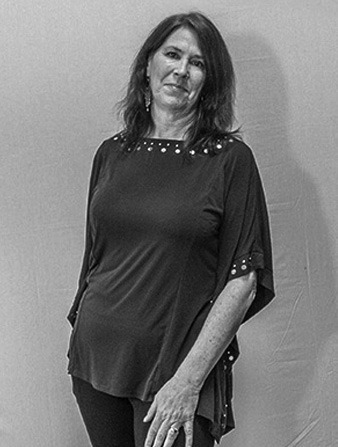 James brings with her 40 years of sales experience, including 4 years in digital media. Prior to joining Mannix, she was employed as a Sales Director with Mary Kay. In addition to her experience with Mary Kay, James also worked as an independent contractor for Mannix Marketing. James is excited to work with a variety of local businesses once again as a member of the Mannix Marketing team. Outside of Mannix Marketing, James loves to spend time with her horse, Lakota Rose, family and friends. She also enjoys spending her free time as a consultant with NYR Organic. When she is not busy with her horse or consulting for NYR Organic, James enjoys traveling. Her favorite destination is St. Maarten. “The Universe Has Your Back” by Gabrielle Bernstein. Absolutely!! Traveling reignites my sense of wonder and adventure. Can you guess? When a tornado rips through Kansas, Dorothy and her dog, Toto, are whisked away in their house to the magical land of Oz. They follow the Yellow Brick Road toward the Emerald City to meet the Wizard, and en route they meet a Scarecrow that needs a brain, a Tin Man missing a heart, and a Cowardly Lion who wants courage.